The Duchess of Cambridge might have helped ignite the loom band bracelet craze but credit must be given where credit is due. 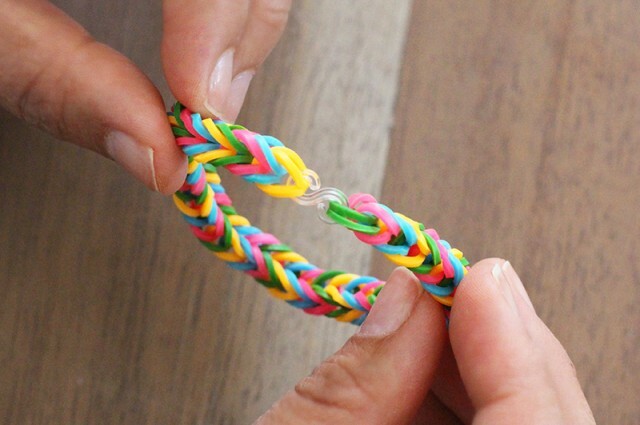 Kids and teens everywhere have been whipping up their version of the friendship bracelet for months now. 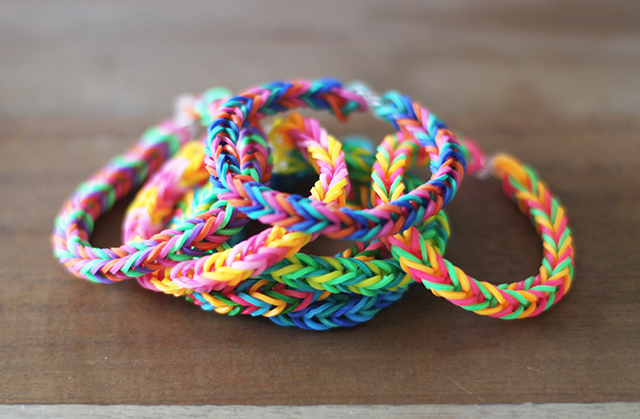 Made from small, colorful rubber bands, these bracelets are meant to assembled on an inexpensive loom that serves as a base for various patterns. 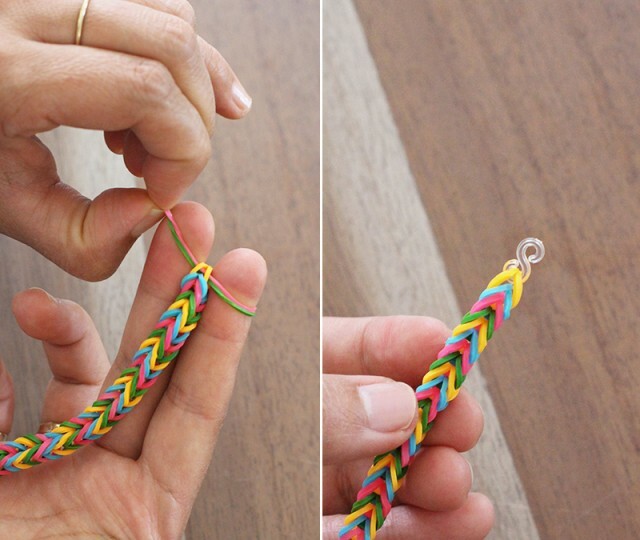 However, you can easily make a simple fishtail version, without the loom, with just two fingers. It is beyond easy. And addicting. I may be past my prime when it comes to trendy bracelets but I just love the bit of childish cheekiness they add to my otherwise serious jewelry collection. Thanks, Kate! Start by separating your colors into small piles in the order you wish to use them. You can use as little as one color or as many as you want! 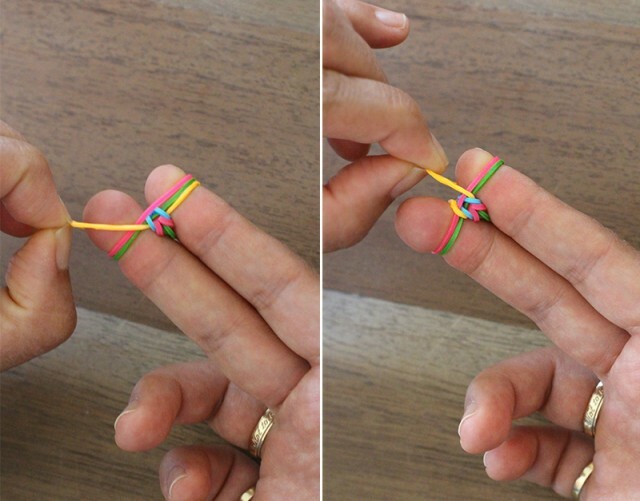 Wrap the first band around your middle finger. 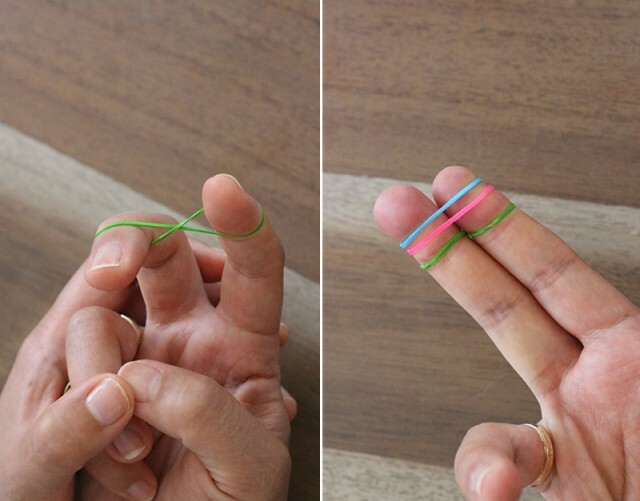 Twist once and wrap around your index finger, creating an infinity shape. Now stack on two more colors. 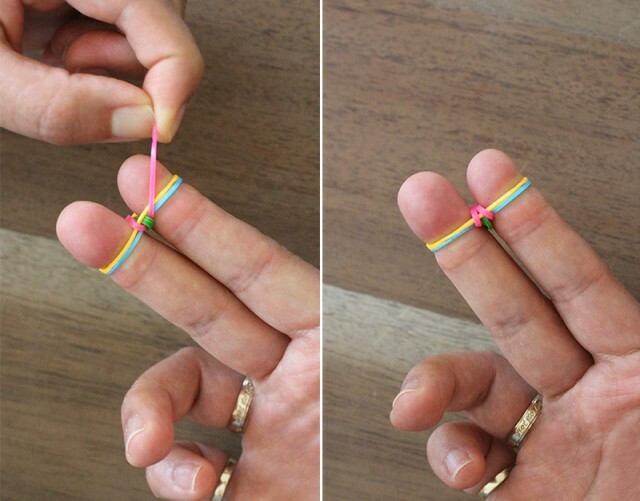 Pull the bottom band over the top band by lifting the left side of the bottom band over the left side of the top band. 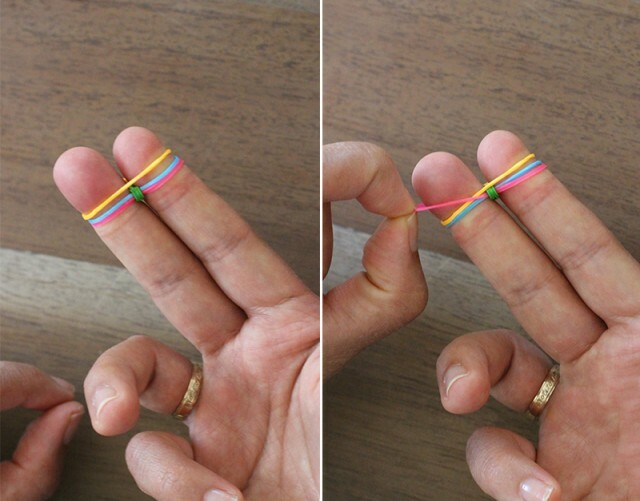 Lift the right side of the bottom band over the right side of the top band. Add another band and lift the left side of the bottom band over the left side of the top band. Are you noticing a pattern yet? 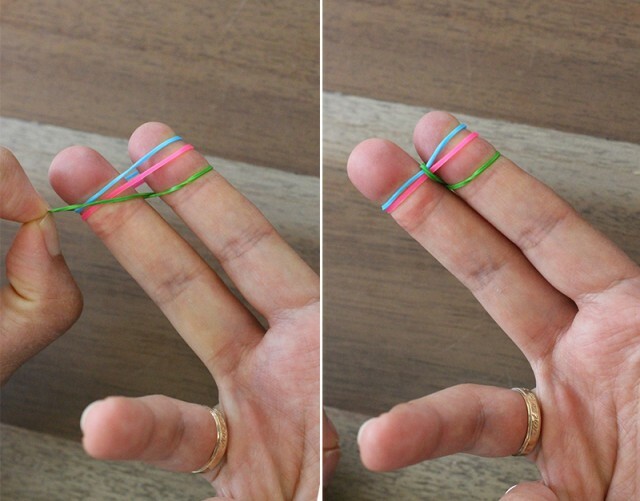 There should always be three bands on your fingers at a time and the bottom band is always pulled over the top band, one side at a time. 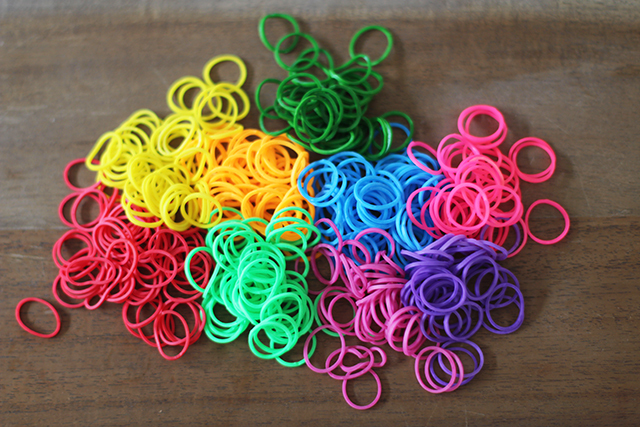 Continue adding bands in color order, pulling the first band over the third band. Don’t worry about the bands twisting. 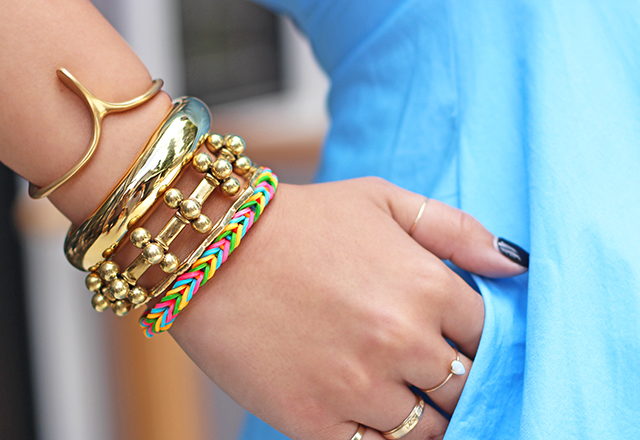 Just give the bracelet a good tug while it’s still on the fingers and it will all stretch out into place. 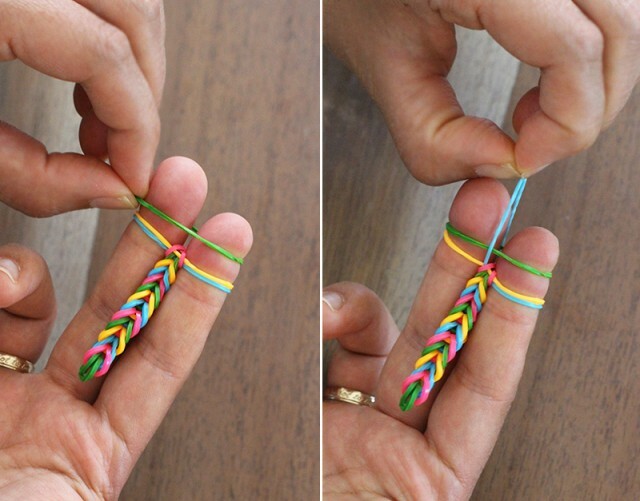 Once you’ve reached the desired length, don’t add on a third band but instead remove the two remaining bands. Snap the S clip onto the last loop. 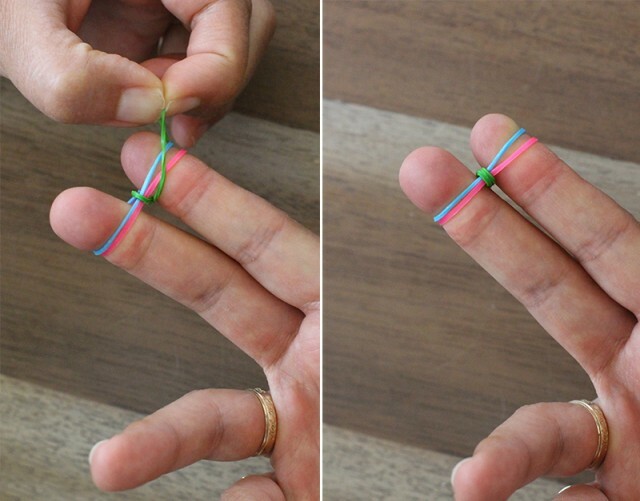 Close the bracelet by snapping on the first band to the other side of the S clip. Honestly, how easy was that? Dare you to make just one . . .